One of the complaints made by Israel over the years is that there is a disproportionate number of Resolutions against its country. What Israel does not acknowledge is that none of these Resolutions get anywhere because almost always the US uses its veto power or forces watering down of allegations. Thus the Resolutions end up a mere joke and just a number used statistically to place on record that UN records Resolutions against even Israel. 62% of all Resolutions have been against Israel. You will not find the US/UK or EU going after Israel as it is currently doing against Sri Lanka where the country continues to challenge US and Allies whose military interventions have left countries in disarray to match Sri Lanka’s post-conflict progress on all fronts. The point being drawn is that the UN/UNHRC is not the EQUAL TREATMENT provider that it promised to be and officials of the UN/UNHRC are not impartial/unbiased either. The most important next question is what Member Nations propose to do to change the current status quo leading to dangerous proportions unless checked. In the eyes of Israel the UN is anti-Israel and they use the Resolutions against Israel at the UN/UNHRC to prove so. Yet, inspite of piling Resolutions there is never any threats to Israel, no sanctions, no development aid denial, no asset freeze threats nothing that would happen to another country with similar number of Resolutions had they not had the influence that Israel gets from US and Allies. This is where the difference lies. Inspite of the Resolutions against Israel, when the US envoy Samantha Power says ‘I will never give up’ the fight to get Israel on UN Security Council simply proves the biased nature and double standards. Even if the UN/UNHRC passes thousand more Resolutions against Israel they will either be vetoed by the US and one can be assured that no Ban ki Moon or Pillay would ever go hounding Israel and she would never dare to propose her team to be placed in Israel to monitor violations. This is the difference. Compare that to the manner UNHRC head is behaving against Sri Lanka. A good breakdown of her statements over the years for even minor incidents taking place in Sri Lanka will show the vindictive attitude she has towards Sri Lanka. We have repeatedly proved this and put it down to a very clear conflict of interest. She is a Tamil and thus emotionally, genetically and ethnically aligned to the aspiration for the Tamils to have a homeland of their own. We seriously question whether it should be in Sri Lanka where only 2million Tamils live as against Tamil Nadu India, where 72million of the worlds 76million Tamil already live and from where the separation bid first started. Pilly’s oral reports and submissions tying up non-Resolution related issues is to use them as a podium to enter Sri Lanka where she proposes to create the plebiscite that the US is plotting alongside other Allies to carve for themselves an area in Sri Lanka with Tamil Nadu eventually linked. The icing of HR issues being used is nothing but a smokescreen and a camouflage. You would expect that Israel with over 400 Resolutions against it, the UNHRC head Navi Pillay would call for an international investigation or even refer these cases to the ICC as she has done in the case of Libya and Syria and calling for a UNHRC led investigation in the case of Sri Lanka just because US say’s it is ‘losing patience’ inspite of having no complaints to make in the manner Sri Lanka has dealt with the post-conflict. 13th amendment and other aspects that tend to pile upon the Resolutions made against Sri Lanka and through the Pillay reports have nothing whatsoever to do with the initial Resolution thereby clearly establishing a non-disclosed understanding between Western states and Pillay. Who will investigate these allegations and even if done will they ever get anywhere for the allegations that come from smaller less powerful nations appear to lead nowhere. So what equality is the UN or UNHRC actually preaching when in practice the exact opposite happens? Returning to the comparison on Israel and Sri Lanka vis a vis the Resolution factor what is being argued is that there is a very clear imbalance in approach, a very discriminatory attitude by UN officials and the UN system itself. We were made to understand whether nations large or small would be treated EQUALLY as given in the UN Charter itself. It does not seem to be happening. If equal treatment is not been given what can a member do except to make such discrimination publicly known and what can other members do? They must themselves evaluate the realism behind the allegations made and resolve to stand up for smaller nations that are being hounded by larger ones using the UN as a tool and UN officials as puppets. Member nations must immediately wonder whether even their nation is likely to become an eventual target. 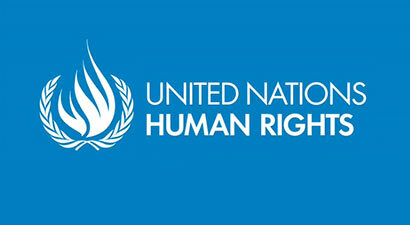 2010, five Resolutions were brought against Israel at the UNHRC. In 2013, 21 Resolutions were brought against Israel at the UN.